The pizza chain hopes to secure financing for a streamlined restructuring. The Chapter 11 filing, according to a report from FOX Business, is the second bankruptcy filing in just over two years for the privately owned chain. Sbarro is based in Melville, New York and has over $140 million in debt. In an effort to cut down on costs, the company announced in February that it plans to shut down 155 of its 400 North American restaurants. 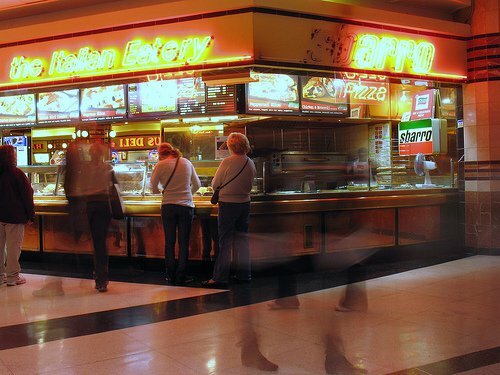 Like many businesses, families, and individuals, the Great Recession hit Sbarro’s sales as traffic in malls, where a majority of the pizza chain’s fast-food restaurants are situated, sharply declined. As you can see, while the economy has taken significant steps forward since the recession, there are still business owners—and individuals—suffering from the financial consequences. Chapter 11 bankruptcy may help Sbarro to restructure and, in the long run, become financially stable once again. If you are a business owner or simply a hard worker in Colorado and are still seeing the negative effects of the recession on your financial life, there is hope. Contact an experienced Loveland or Fort Collins, Colorado bankruptcy attorney today to discuss your options for debt relief. While bankruptcy certainly may not be the best choice for everyone, it is a viable option when you are trapped under seemingly insurmountable debt. The future of Sbarro will likely hinge on the chain’s emergence from bankruptcy. While we hope to get a slice next time we visit the mall, it will be interesting to observe the company’s next steps toward debt relief.